Whoever President Trump chooses to replace Justice Anthony Kennedy will undoubtedly be a ghoul of the most nightmarish quality. But nobody should shed any tears for the loss of Kennedy himself. He was a fierce partisan for the destruction of what’s left of the New Deal who happened to have a soft spot in his heart for gay people. He has a long list of greatest hits — Kennedy gave us President George Bush, of course. But more recently, in his retirement year, Kennedy did not even once join the liberal side of the 5-4 decisions for which this court will be infamous. Kennedy: I’m asking you whether or not in your view, if you do not prevail in this case, unions will have less political influence, yes or no? Kennedy: Isn’t that the end of this case? Frederick: It is not the end of the case, your honor, because that is not the question. Frederick tried to point out that the case was supposedly about Mark Janus’s First Amendment right, not whether agency fees made unions strong or weak. Kennedy, however, in his excitement, let the cat out of the bag: to eliminate unions’ political power. 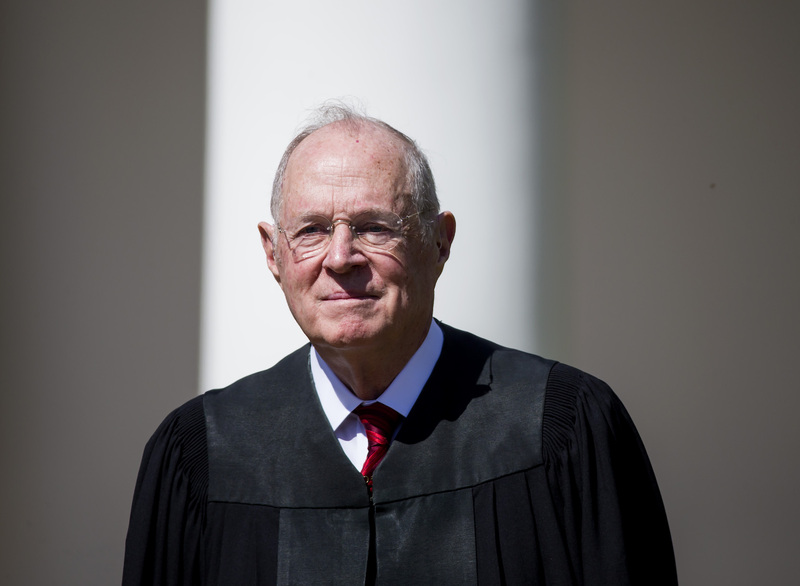 So good riddance, Anthony Kennedy, to you and your supposedly swing vote to which liberals long tried to kowtow, almost always in vain. I have no illusions that Trump can find someone more venal than you, someone ready to put his (almost certainly “his”) foot to the floor on closing down abortion clinics and expanding the “religious freedom” to discriminate. That fact shouldn’t buy you any plaudits. You were useless.